"Since the School’s creation in 1915, we have grown from twelve students in a Parish Hall to the leading multi-campus school we are today. While the core principles laid down by our founder remain the same, our school has seen a great deal of change. With campuses in Ivanhoe and Mernda, families in Melbourne’s North have access to the leading educational outcomes that Ivanhoe provides. 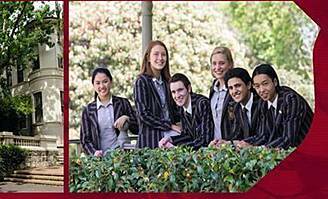 Rich in history, yet thoroughly vibrant, diverse and innovative, Ivanhoe Grammar School provides a wonderful environment for students and has a long history of providing excellent educational outcomes. Our focus on student wellbeing and a shared set of values means students feel safe, valued and well cared for throughout their school years and beyond, with the Old Ivanhoe Grammarians network providing a valuable link to their school peers even after they have left school."